In anticipation of all of those blissful, unscheduled self-care hours you’ve set aside for yourself this year (right? ), here are a few yoga-ish books to nourish your soul. The Goddess Pose. This fascinating account of a globetrotting, Russian cabaret performer who charms her way into Krishnamacharya’s studio in India and brings his teachings to Western starlets like Greta Garbo is all the more enticing for being true. Michelle Goldberg’s biography of Indra Devi, née Eugenia Peterson, is as good as any Netflix binge. Autobiography of a Yogi. Spiritual seeker Paramahansa Yogananda shares his inspiring story with plenty of humor, deep insight and guest appearances from some of the 20th century’s spiritual illuminati. Siddhartha. Hermann Hesse’s tale of a young man on the path of self-discovery is a classic. Set in ancient India, Hesse’s hero renounces his possessions, wanders as a beggar, meditates intensely and finds his spiritual teacher. But he’s not satisfied! With meta questions still looming, Siddhartha reenters the world and continues his spiritual quest. Adventures await. How To Eat. One in a series of Mindfulness Essentials by beloved Zen Master Thich Nhat Hanh, How To Eat is a travel-sized — and beautifully illustrated — compendium of short meditations designed to enhance and unclutter our relationship with food, from growing it to cleaning up after eating it. The Four Agreements: A Practical Guide to Personal Freedom by Don Miguel Ruiz. A shamanic teacher and healer, Ruiz’s four agreements are simple, which, of course, doesn’t mean they are easy. A guidebook worth adding to your navigation supplies. The Untethered Soul: The Journey Beyond Yourself by Michael A. Singer. Time and again this is the book fellow yogis recommend or note as a favorite. A clear look at muddy questions of self, habits, energy and self-imposed limitations. 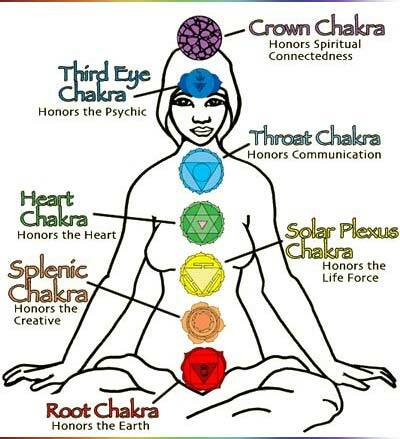 Wheels of Life: The Classic Guide to the Chakra System by Anodea Judith. Judith is the undisputed master of the chakra system. Start here if you’re curious about our internal energy system. Some people think of massage as a luxury, and while it certainly is an indulgent experience, I consider body work to be more of a necessity when it comes to whole-body health. Thankfully the Mayo Clinic, the Wall Street Journal and others back me up! From easing tension and anxiety to improving circulation, and boosting immune function to reducing inflammation, more and more research shows the broad range of health benefits massage delivers. Then there’s the part where it feels amazing. Especially when performed by a truly transcendental massage therapist. It’s easy to find a good massage, but tough to find something truly special. Lucky for you, we’ve done the legwork. Soho Sanctuary is exactly what the name describes — a haven for relaxation in the middle of downtown’s bustling, upscale shopping district. Occupying two stories in a historic loft building, overlooking Mercer’s picturesque cobblestones, Soho Sanctuary is a true retreat for the body and mind. Here you’ll find a full suite of body and beauty services, along with a small, specialized fitness studio, all exclusively for women. Spend an hour or spend the day, and we promise you’ll leave feeling refreshed and ready to take on the world (even the Barney’s warehouse sale). The gracious loft-like space is airy and quiet with whitewashed brick and light hardwood throughout, the perfect atmosphere to unwind and recharge. Among the services we love are the Organic Herbal Scrub and the Thai Yoga Massage. Booked together these offer a lovely blend of detoxification, deep relaxation and ultimately rejuvenation — sloughing off the old, and clearing the flow of energy within and without. Simply put, Regine will change your life. Just ask any of the attendees of our Summer Wellness Retreat, each of whom experienced a signature massage with this goddess. Besides massage therapy, Regine’s education and training spans East to West, from Acupuncture and Traditional Chinese healing, to orthopedic massage and medicine, and all the way back to the yogic Chakra systems. She channels all of this into sessions with clients, delivering a massage that is integrative and deeply therapeutic. Oh, and she’s strong! The good news is, that all of Soho Sanctuary’s other therapists are highly skilled, so whatever your pleasure, you’ll be in good hands. Soho Sanctuary also offers an extensive selection of pre- and post-natal services designed to keep mothers (and mamas-to-be!) glowing and at their best. In between treatments, detoxify in the aromatherapy steam room or snack on dried fruit and herbal tea in the relaxation lounge. If you’re heading right from the spa to an event, stop by the Beauty Loft for a manicure, pedicure, wax, lash tint or makeup application. Services like these might not make the WSJ health report, but they certainly contribute in their own ways! From the impeccable personalized service to the fluffy robes, every detail contributes to the healing experience. Soho Sanctuary’s founder wanted to create an escape from “the pressures of work, family, and the city’s dizzying pace of life,” and lucky for us, we can attest to her success. Do you hear the word “detox” and imagine yourself starving for a day while you dream about chocolate cake? Or do you picture yourself quickly dropping annoying pounds that your body has been holding onto for years? The concept of detoxification, which used to be reserved for overcoming drug and alcohol addiction, has been hijacked by the diet industry. It’s time to reclaim this incredible practice and invite some wellness back into our lives. In today’s world, the idea of “detoxing” can quickly be misconstrued as another extreme fad diet. However, the practice of inviting in more plant-based foods, drinking plenty of water, getting adequate rest, removing stimulants, breathing deeply (practicing pranayama), and setting aside time for adequate relaxation supports the body in doing its incredibly intricate job of maintaining balance. Our bodies have incredibly sophisticated, built-in detoxification systems (liver, kidneys, colon, lungs, lymph and skin) that provide the ongoing daily cleansing that keeps us healthy and energized. And yet, we live in a world where we eat food that looks nothing like the plant from which it originated. We drink sugar, caffeine and alcohol to boost our energy or alter our state of mind. We breathe smoggy air and the skin (the largest organ of our body) is exposed to many different chemicals and hormones on a daily basis (some even found in our water supply). Not to mention our workday has become longer and longer, often requiring us to sit in front of a computer for long hours. Planning a detox can be an act of self-love, particularly if you reclaim the practice and take a multidimensional approach. Nutrition matters. Plant-based foods are where it’s at… For inspiration, check out these fun & engaging food blogs with recipes that nourish your body with an abundance of macronutrients (vitamins, minerals, water, protein, carbs, fat) that will energize you from the inside-out. Add simple practices like sipping lemon juice with water and apple cider vinegar drinks, which have an alkalizing effect on the body reducing inflammation and restore natural balance. Rather than deprive yourself of foods you love, create a sense of abundance around food by preparing plenty of fresh options and eating when you are hungry… and stopping when you have had enough. Body matters. Plan rejuvenating and relaxing activities: yin and restorative yoga at the studio, walking in nature, bathing with epsom salts and essential oils, dry brushing, and getting to bed early will all support the detox process. A long exhale is perhaps the most effective detox there is. Add some pranayama into your yoga routine; experience spinal twists to wring out the organs and try some restorative postures to let go on the cellular, muscular and fascial levels. Mind matters. Digital detox anyone? Fasting from technology may be almost unimaginable in this day and age, but it is well worth the experiment. Let’s be real… we are all so hooked to our devices… Sometimes we have no idea what to do with the time and space between conversation and activities. Take a break from technology and say YES to your mental health. What to do instead? Take time to meditate or practice simple mindfulness practices (like this mindful eating activity with chocolate!). This will help to create a sense of inner calm, awareness, and non-judgment that you can carry into the rest of your life. Heart matters. Treat yourself with loving kindness and allow for healthy connections with people in your life by using affirmations. This will rejuvenate and restore your entire being, encouraging a sense of abundance and peace in your detox process. The mantra for the heart chakra is “love and be loved,” or “I have the right to love and be loved.” Schedule time out to reflect on matters of love and the heart, what works and what doesn’t work for us, and practice letting go of what no longer serves us.. if only for this moment. Spirit matters. Take time to remove the layers of clutter that dim your inner light or bury your true self by communing with nature, experiencing sacred spaces, listening to beautiful music, letting go of effort and hard work, entering flow, and taking time to become interested in your inner world. This will, without a doubt, support the process of aligning all parts of your being with the calling of your soul. Any or all of these practices will support a renewal in all parts of your life… so this weekend take some time to truly detoxify in the way that is right for you. Many of us take time out of our busy schedules to show up to yoga class. We begin our practice on our mats, observing our thoughts as they dwell in the past or race toward the future until we hear the soothing sound of the teacher’s voice inviting us back into the room, and into present moment. We move through the postures, stretch our bodies and discover new capacities to be with ourselves in a strong, kind, loving way. We leave our comfort zones and step into our learning zones. Our energy moves, shifts, rises and falls. At the end of class, we enter savasana or “corpse pose” where we let go of all effort and receive the benefits of the practice. Or where we’re invited to let go. For many modern urbanites, it’s just not that easy. I did not arrive at my first yoga class with the intention of calming my mind — for me it was more about a healthy body — but over time something started to happen. I began to truly let go of all effort in Savasana. I stopped trying to “do” savasana and then really did access an inner calm. A break from technology?? Abstaining from hangover brunch?? Go ahead, give it a try… it’s only a couple of days! EASY DOES IT Clear the slate and try a staycation. Say “No” to commitments or invitations that do not have your whole being shouting “Yes!” Can you take the family or loved ones out for a neighborhood walk or bike ride? Do you feel energized by hosting an easy potluck? What activities bring you joy without too much effort? What would it feel like to not do all the things you think you should do, and instead do only the things you want to do. RENEW & RECONNECT Get outdoors first thing in the morning and head out into nature. This might be your own backyard, a local park or the great outdoors a bit further afield. Enjoy the fresh air, breathe deep and move your body! FAST FROM TECHNOLOGY Take a break from technology (that probably means work too!) for 24-48 hours. Notice what happens. Yes it’s tough. Watch the urges to return to your devices and responsibilities rise and fall. Observe how you connect with your friends and family during your fast. NOURISH Whether you stay at home or head out, prepare healthy food, including snacks, to nourish your amazing bod when you get hungry. The weekend is often a time for indulgence (heavy brunches, decadent dinners out), see what happens when you opt for healthful and delicious. Play with the idea of not drinking all weekend. Or see how it feels to truly enjoy just one glass of wine. HAVE FUN! What makes you laugh, let go, and play!? Dance party in the living room? Throwing a frisbee? A trip to the beach? Reading a magazine? Prioritize fun. Give yourself permission to be a fun junkie. ENERGIZE Remember, a little bit of heart pumping activity can increase overall relaxation. Explore if you like to energize alone or en masse – is a solo jog your idea of heaven, or a group soccer game? Pay attention to activities that give you an energy boost versus activities that drain your vitality. PAMPER Go ahead, schedule a massage, or plan an at-home spa day. Take some time for a leisurely bath with Epsom salts and essential oils, do a deep conditioning hair treatment, or do a few restorative yoga poses to send you into a state of bliss. Light a candle or two, you deserve it! REFLECT, PLAN & PREPARE: Reflect on the effort you made to show up to your weekend with a proactive, positive outlook and thank yourself for rocking it! Plan for a light, home-cooked Sunday dinner and leave plenty of time to prep for your week. Get to bed early and begin the week refreshed and ready to take on the world!